← A Progressive Thanksgiving: Power to the Turkeys! 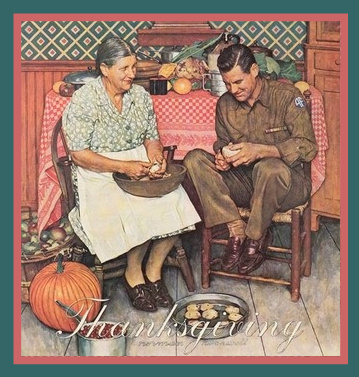 This entry was posted in Personal/Home and tagged Norman Rockwell, Saturday Evening Post, Thanksgiving. Bookmark the permalink. Happy thanksgiving to you and Wendy and all your family, Glen.